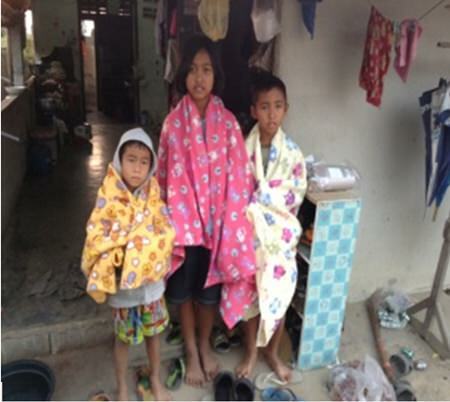 First, during the recent cold spell in Pattaya, many children and families were suffering from the cold. Jomtien-Pattaya Rotary wanted to help some of our underprivileged families within the Pattaya and Jomtien areas. Blankets were purchased and delivered to the appropriate families most in need. During the recent cold spell in Pattaya, blankets were purchased and delivered to the many children and families who were suffering from the cold. Next, we had a number of families who built makeshift homes but don’t have windows or in some cases four proper walls. Consequently, they are very exposed to the elements of weather and infestations; in particular, mosquitoes. We were approached by a group of families, all living in the same area, asking if we could help them by buying mosquito nets for their children. The children were exposed to daily mosquito bites. Jomtien-Pattaya Rotary agreed to purchase the mosquito nets for some of the families, and we now have many happy children getting a good sleep at night. 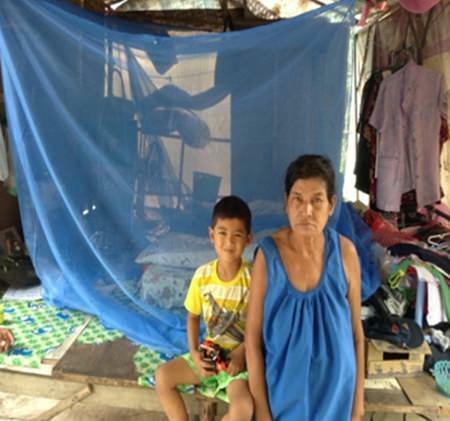 The Rotary Club of Jomtien-Pattaya purchased mosquito nets for some of the families, who now have many happy children getting a good sleep at night. Last, but certainly not least, the sponsoring of two children living in the ATTC with a most unfortunate background. They have no father and the mother is unable to work due to truly tragic circumstances. The mother, however, was desperate to get her children educated. No words can express the gratitude of thanks to Jomtien Rotary. The Rotary Club of Jomtien-Pattaya, like other Rotary Clubs around the world, carries out truly amazing work. Very special thanks of gratitude must go to Philip Wall Morris, Director of Community Services and his fellow members of Rotary Club of Jomtien-Pattaya for greatly assisting with these kind donations. You really do make a difference.